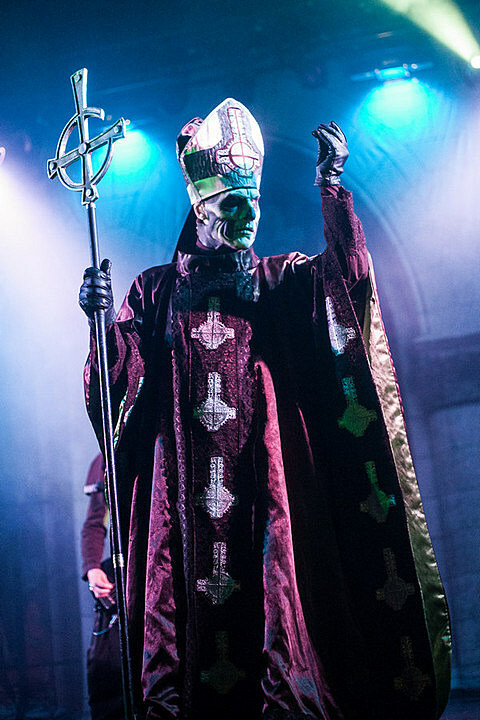 Ghost’s third album Meliora is out now and it does what they do best — poppy, riffy rock that’s obsessed with the occult. Their theatrical live show is really where it’s at though, and you can see that tonight. It’s the last Brooklyn Flea of the season and helping send them off is a pretty good lineup, including rising band Porches, Canadian act Nap Eyes, and local regulars Adult Mom. 2 PM, free. Nap Eyes, who sound a bit like The Clean or The Modern Lovers or another Lou Reed descendent of your choice, play again tonight. It’s the very last show of the summer at Rockaway Beach venue Riis Park Beach Bazaar, and this one’s a full afternoon of quality local-ish punk. While out in the Rockaways you can pretend it’s still summer at Ripper’s with this rambunctious lineup. Brooklyn’s genre-defying heavy band Candiria are reunited and have played a couple hometown festivals (Black N Blue Bowl, Afropunk) but tonight’s their first non-fest NYC show of the reunion. Good openers too. Black metallers Abigail Williams and noisecore greats Today Is The Day are on the road together, and tonight they hit NYC with quality local support. New DFA signees Guerilla Toss just released their first EP for the label and celebrate its release tonight. This is the last of Trans-Pecos Sundays in September afternoon series and they have put together another killer lineup of NYC art rock types, headlined today by No Wave great Arto Lindsay. Christopher Tignor is a frequent collaborator of This Will Destroy You, and tonight he headlines this show with a TWDY member opening. This is a tribute show for the late cellist Daniel Cho who tragically drowned in 2010. All proceeds will go to the Daniel Cho Scholarship Fund.